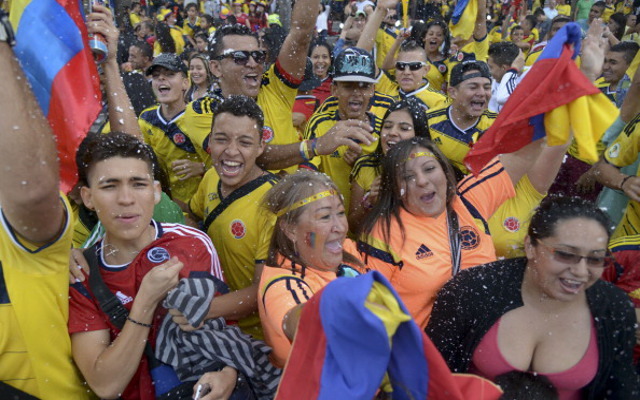 Colombia have taken a 1-0 lead over Brazil in their second group game of the Copa America. Going into the game, Colombia were in last place in Group C having surprisingly lost their opening game 1-0 against Venezuela – their first loss after seven straight wins – a sequence that went back to their 1-0 loss to Brazil in last summer’s World Cup. The goal came from Grenada defender Jeison Murillo, who pounced to smash the ball home from 12 yards after some shoddy Brazilian defending. The half time whistle has just blown at the Estadio Monumental David Arellano in Santiago. If the score stays like this it will leave Brazil, Colombia, and Venezuela tied on three points at the top of Group C – though Venezuela would have a game in hand, playing Peru tomorrow. The top two teams go through automatically, along with the two best third place sides.